Before I get into this, I just want you, the reader to know that this is NOT a review of Digital Altitude. I have not purchased the program and I’m not an affiliate of Michael Force’s high ticket offering. This article is what I think about Digital Altitude based on what I know about it and other similar programs just like it. This is what I’d tell any close family member or friend if they ever asked about it. I would like to invite any affiliate of Digital Altitude to comment below if they want to clarify anything or just have a discussion about my thoughts about this. If you’re thinking about buying Digital Altitude and you’re wondering why you should even read this (because I haven’t even bought the program) then here’s why. I’ve been marketing online for 10 years now. 7 of those years are full time. I know how online business works and I’ve made lots of money also. I started from scratch, not knowing anything about making money online and now I’m making a full time income. Price: Starts at $1 for 14-day trial. Goes up to $27,997. Digital Altitude is a high ticket coaching program created by Michael Force that contains several products intended for helping you build a digital business. Introduction into the Digital Altitude program starts with a $1 trial membership that lasts 14 days giving you access to the Aspire membership which appears to be their flagship program. Your compensation depends on which membership type you chose, with the higher tier getting up to 60% commission and lower tiers getting 50% and 40% respectively. There is also a monthly affiliate fee ($17) which must be paid in order to receive commissions. The other levels in the Digital Altitude program takes a mountain climbing theme representing a climb to success. So there’s Aspire, possibly just meaning that you want to climb the mountain. It’s said to be their digital business sales system. Here you’re assigned a sales coach who can close sales for you. You will be expected to contact him via Skype. Judging from this, it seems that the only focus of Aspire is on getting the member to resell the Digital Altitude program to earn commissions. To get paid on all these you must be a paying affiliate ($17/month) and have one of the Aspire memberships (at least $37/month). This means that you will end up paying close to $60,000 if you have to own all the levels. There’s also another catch – to get paid on any of the programs, you would have to own that program. So for example, if you don’t have Base, you cannot get paid commissions for Base. If you only have up to Ascend, you cannot get paid for Peak or Apex sales. Commissions for these will go to the person who referred you to Digital Altitude. There’s also another thing – you have to sign a non-disclosure agreement. To be honest, when I saw the structure of Digital Altitude, it reminded me of Empower Network. Digital Altitude doesn’t have any mention of network marketing or a structure that suggests that it’s MLM so I wouldn’t compare it to that. Otherwise it would definitely be a pyramid scheme since the products are being sold to people who will become Digital Altitude affiliates themselves. There is also a similar program that can be compared to Digital Altitude and that is Matt Lloyds MTTB. That system has a very similar structure and pricing and I’ve seen reviews where it’s been called a scam to which I didn’t really disagree with. Going through the details of the individual programs, it seems as though the high ticket items might actually be useful in building a business. They’re designed as in-person workshops which can somewhat explain their high ticket prices. The problem I have is that most people, from what I’ve seen doing research are just buying the high ticket items so that they can have the chance to resell them. I also have a problem with the Digital Altitude price to learn how to build a digital business. Who pays $28,000 to learn how to make money online? Or almost $60,000? I know marketers who started with a small fraction of these figures who have built 7 and 8 figure businesses. The target market of Digital Altitude isn’t even business owners. From my research, it’s people who haven’t made a $1 online who are struggling or looking to supplement their income. Yes, people can make money with this but I have a problem with buying into a system just to have the opportunity to resell it to others who are going to do the same. Something is morally wrong with that and I can’t recommend this practice or even call it a business. Can You Make Money Without Reselling Digital Altitude? I know that Aspire affiliates are going to bash me in the comments so I have one question that I want them to answer honestly. For people thinking about joining Digital Altitude, ask the following question when you’re deciding whether or not to join Aspire. Question: Can you make money with Digital Altitude without reselling it? Aside from Digital Altitude commissions are you making money as a result of Digital Altitude training? I would like honest answers from people who joined Digital Altitude having never made $1 online. There are going to be people who have made money before that are going to say “YES” or that Digital Altitude helped them make money money in their online businesses. What I’m getting at is that since Aspire is the main program, members are assigned coaches to help close sales. These are obviously not sales of their own stuff. 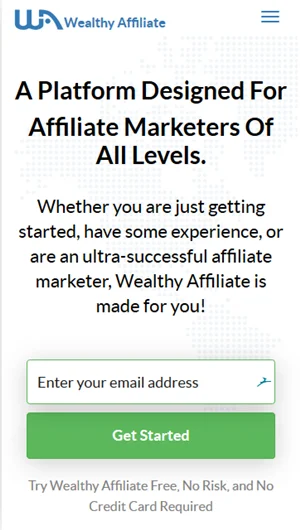 They’re obviously Digital Altitude sales so I’m pretty sure most of the training has to do with how to promote Digital Altitude as an affiliate marketer. The other products from Base to Apex might be intended as business coaching products but are people really using them to build real businesses that do not have anything to do with Digital Altitude? To build a real online business that provides real solutions for people who are searching on the internet for help, you only need three steps. Sure these steps all have different components but there are really only four steps and I’m sure these are the same four steps that Michael Force followed. Force found an interest, he built the Aspire website and business model, attracted visitors by using affiliates and he’s earning a lot of money doing it. This is the model that Wealthy Affiliate teaches and it does not cost anyone anywhere near $60,000. Buying expensive products just to resell them to others who resell them isn’t really helping anyone. This goes for Digital Altitude, MOBE, MTTB and all the other programs like it. Have you been considering Digital Altitude? Are you an Aspire member and want to clear up something that I seem to have misunderstood? Let’s here your thoughts in the comments below. Should You Buy 3K Payday System? What Is Clone My System by Justin? You really nailed it with this review. I was looking to join Digital Altitude soon because I saw a lot of people making some money. But 60 grand to get the full package is just ridiculous man. All the other reviews I saw were not as clear. Most of them were written to actually get you into Digital Altitude. I guess the one dollar is just the catch to make you spend some money because after that you need to spend the big bucks. I noticed that with the other reviews too. The thing about Digital Altitude is that no-one is really using the products that they’re spending the big money on, they’re just spending the money to be able to earn commissions on the products down the line which to me just doesn’t make any sense. Spend 60K so you could make 60K is not a business model to me. It’s predatory. What’s the difference between this and any University charging you to get your Degree? Attorney, Physician, Accountant? What’s the difference. It’s called Education. Something fun to study and Master. NFL is Non Profit? What’s the difference? The difference is the students don’t go around trying to get others (who may or may not be interested) to join the University so they could pay off their student loans. They actually want to focus on becoming an attorney or physician or accountant. I get the education part. I myself promote a program that is aimed at teaching people how to make money online using affiliate marketing. However with Digital Altitude most people aren’t genuinely interested in the education. They just buy the material so they could promote the higher tiers so they could get paid higher commissions. And they don’t promote the education either. They main focus is on the business opportunity. Truth is all in the review. I wouldn’t recommend this.